Simple and fashionable design, durable PP and acrylic material. 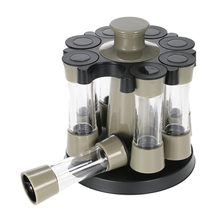 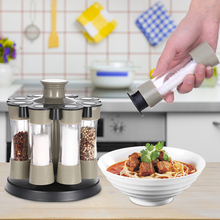 Rotating holder, conveniently access to the needed spices during cooking. 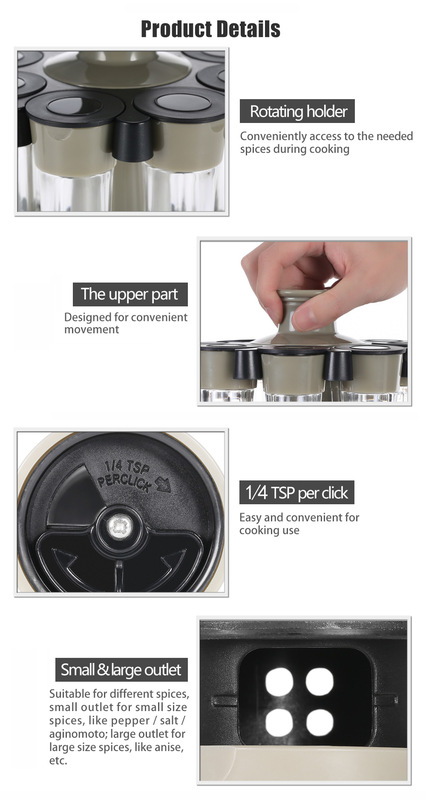 Humanization design for different spices: small outlet and large outlet by pulling up the cover; 1/4 TSP per click on the bottom. 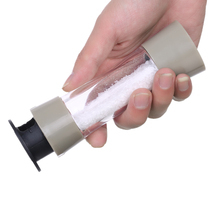 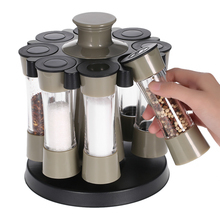 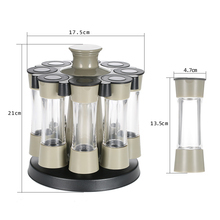 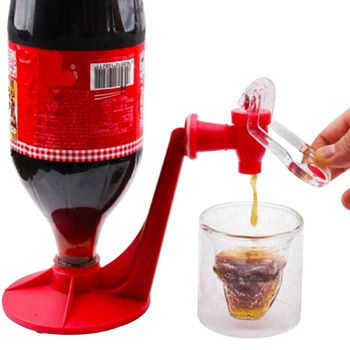 Include 8pcs seasoning bottles, meeting different needs for most family. 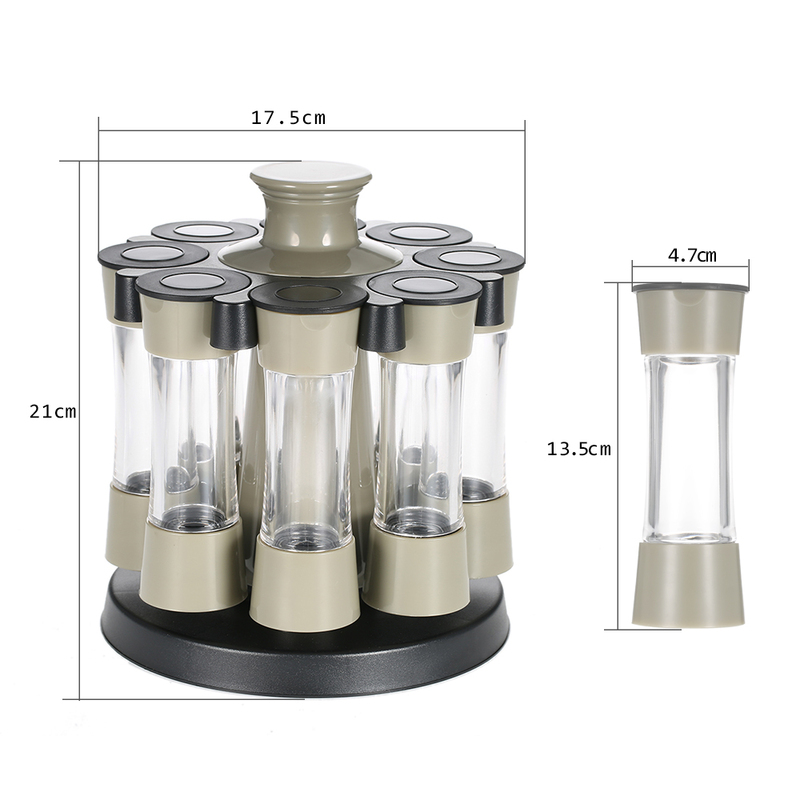 The upper part on the base is designed for convenient movement. 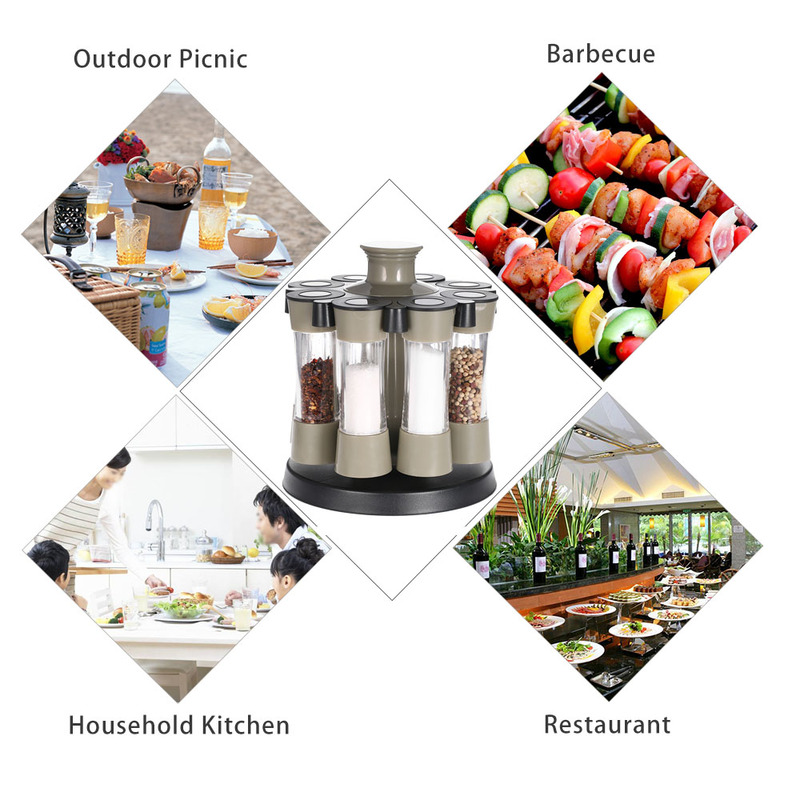 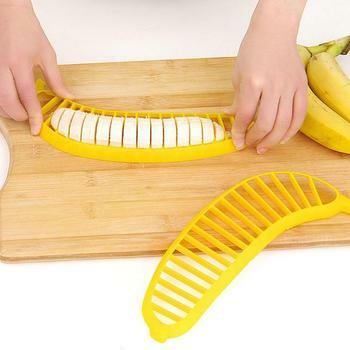 Suitable for restaurant, household kitchen, outdoor picnic use, etc.